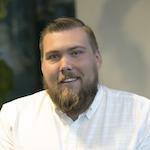 Can I add followers to a request in Slack? Can I change which team the request is assigned in Slack? Handling tickets has never been faster! 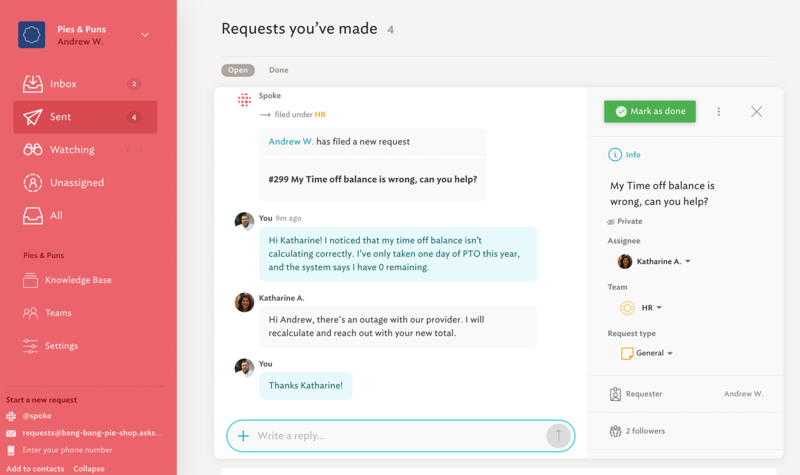 Spoke allows you to reply to requests without ever leaving Slack. Respond to tickets quickly and easily, by integrating Spoke with Slack! If you haven't connected Slack yet, check out our setup guide first! Begin by making sure @Spoke is invited to the channel you're using to make requests. Once Spoke is invited to the channel, you can @mention Spoke as @Spoke, just like tagging a coworker. If Spoke doesn't contain a knowledge base resource that can help, you will be asked if Spoke should find a human to help. Once you have selected "Yes, file a new request." 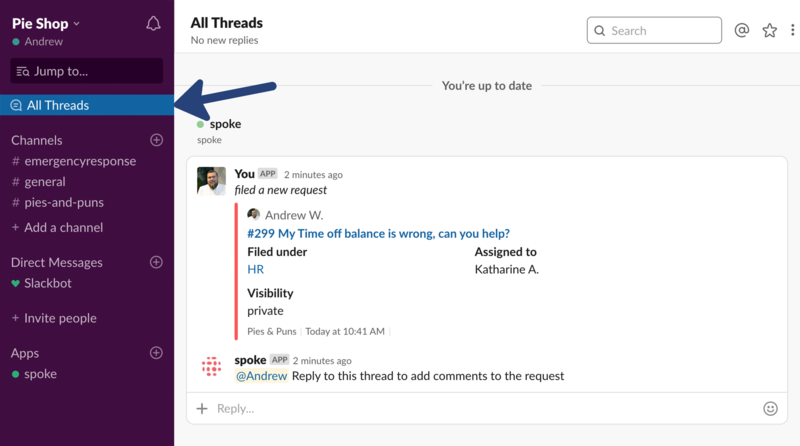 Spoke will start a Slack thread, and @mention you in the thread. This allows you to be notified for each update that is made to the request. To view the request thread that was just created, you can choose either "New Threads" or "Spoke" in Slack. From the thread, you can add more information, or view updates on your request. Because you were @mentioned in this thread, you are a follower of this thread, and will receive notifications for each update to this request. You can always click the link at the top of the thread to open the request in the web app. 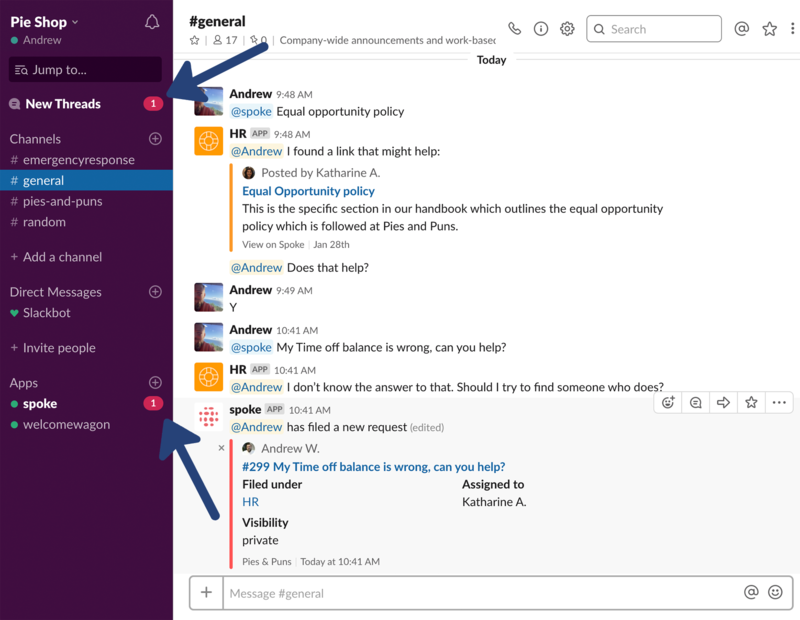 Notice that all updates appear in both Slack and the Spoke web app. You can @mention other users in Slack if you'd like to add them as followers to the request. They will be added to the request in Spoke as a follower. To add followers to any request using Slack, simply @mention the user in the thread. They will be added as a follower to the request, and be notified per their notification settings. If you'd like to stop receiving notifications on a specific request, select the link to the request title from the top of the thread, then navigate into the Web app. You can choose to remove yourself as a follower in the lower right of the request panel. Settings can be changed for all requests in the "My Profile" section of your account. More information can be found here. If your organization heavily uses Slack, it recommended that you leave Slack thread notifications turned on.